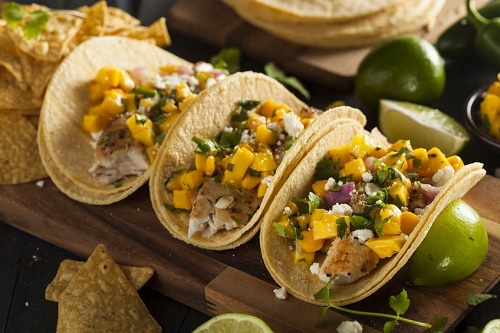 Nothing says summer like slices of grilled chicken topped with tropical mango salsa inside a crispy taco shell. Mix the chopped mango with red onions, lime juice, salt, pepper, scallion and other fresh herbs. You can also add minced jalapeno if your children enjoy the slightly spicy flavor.